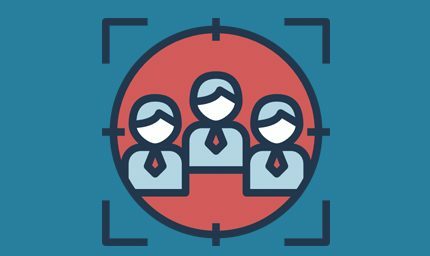 After nearly two years of running Fat Joe, from its very modest incarnation to the big operation that it is today, there have been some applications, tools and software that we would be lost without. It only dawned on me the other day just how important these tools are to us, and while we would find alternatives or manual ways of doing things if some of these apps did not exist, life would not be as easy, and quite simply our service would not be as loved as it is! These tools are mostly for the day to day running of our business that help with communication, planning, building, processing and even selling. Most will apply for any business, and others just for the SEO and Marketing types of company out there. Some you’d of heard of for sure, others maybe not, but you’ll want to check these out if you’re just starting a business or even if you’re established. The most recent addition to our arsenal of tools, Grammarly, has improved our proof checking processes greatly. By allowing our writers to write within Grammarly, they have a live proofreader over their shoulder, picking up on spelling and grammar issues, as well as helping them improve their blog writing with alternate and enhanced words. Even though blogger outreach and content writing is our forte, we like to see ourselves as a content company first, and a link building company second, and because of this and the level of clients we now have, the quality of our content must be outstanding. Granted, Grammarly not pick up on everything… <<< Like the random missing word in that sentence ‘does‘, but that’s why we do manual proofreading too. If your business does any kind of writing or proof reading (it even checks the grammar in emails) you should check Grammarly out. An obvious one I suppose, and one you’d have heard of before, but PayPal has been absolutely essential in our online sales. 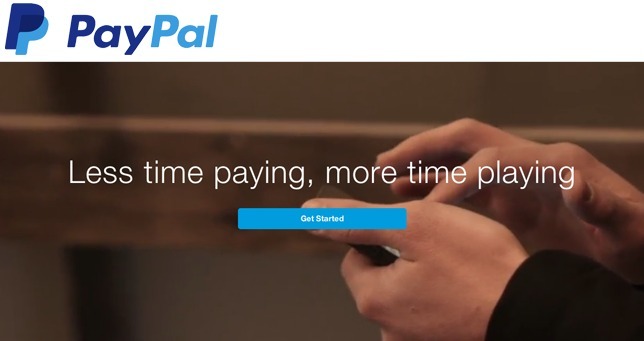 If you’re selling anything online and you’re ignoring PayPal you must be mad. Hefty fees aside, it has such a global reach, and a large amount of trust, that just makes selling really easy. Most of our initial sales go through Paypal without any interaction at all. Without it, I doubt that we’d get as many new sales without some kind of interaction beforehand. Once it’s set up on your website (Easy) it will just run itself. Not only is PayPal great for selling, it’s great for buying too. Instead of pulling out the credit card every time when buying online, we can easily use PayPal for most of our online software purchases. Google Apps is the core of our business. Everyone in our office is on Gmail as their primary email. We schedule any meetings or reminders including staff holidays in the calendar. Google Drive handles small collaboration projects remotely between staff allowing you access them on the go. We can send any quick links to each other using Google Talk, and it’s this kind of instant communication, collaboration and online accessibility from anywhere in the world that makes it so useful for any business. 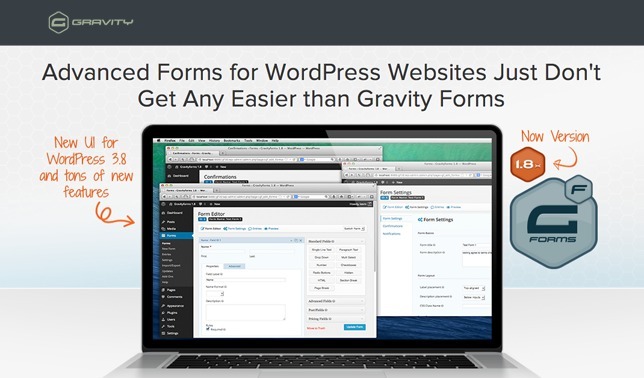 Gravity Forms is a WordPress form builder that hooks right into PayPal for online payments. It’s also great for online forms or surveys. It collects all orders and data in a database for easy viewing straight from the WordPress dashboard. To this date Gravity Forms hasn’t let us down, and the conversion rate has been so fantastic we haven’t looked for alternatives. When we first started accepting online payments we used Wufoo forms, which is pretty similar and worked out a little cheaper, but we liked how Gravity Forms could be customised and how well it worked with WordPress and PayPal. It may be quite an expensive form builder (as far as WordPress form builders go), but well worth it for online sales. The progress bar for the different parts of your forms is really simple and effective. Until the introduction of our infographic design service, now was the first real time we found a use for Dropbox. A few months ago we began sending infographics to-and-fro across multiple members of staff and clientele. We had to come up with a quick solution to share large files. Having tried Google Drive for the uploading and sharing of files, it wasn’t as effective as Dropbox, which is just so easy and intuitive. With 2GB free it’s a no-brainer for business who need to store and share large files. 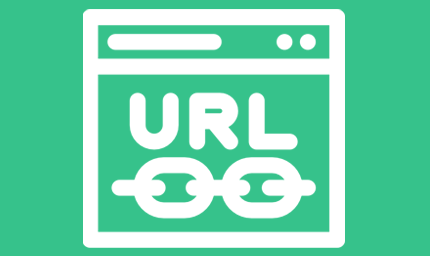 The share function is quick and easy with the ability to send links. Most modern accountants nowadays will know FreeAgent like the back of their hand. Update: We ditched TeuxDeux for Trello. Scroll down to #11 to see why. Having tried almost every todo list app on the market and resorting to pen and paper for years, I was introduced to TeuxDeux a couple of years back when it first hit the scene (Yes, I’m locked into a free account). I was instantly hooked with it’s simplicity. You don’t really need projects, project types, colour codes, tags and multiple lists do you? I liked the idea of GTD, but all the apps that followed the theories just paralysed me so I couldn’t… well… get things done. 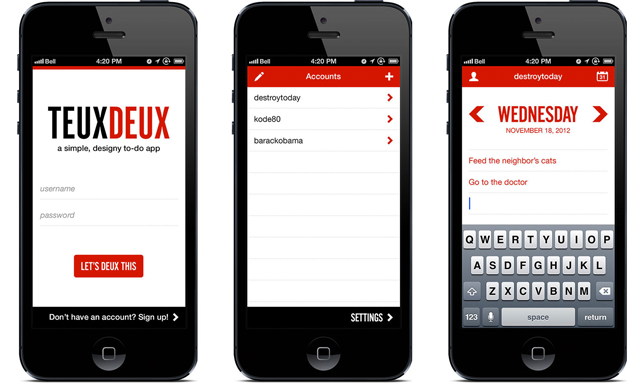 TeuxDeux is simply daily lists, and a someday. Not much else to it. Me and the other Joe share a TeuxDeux account, and just cross stuff off as it gets done. Simple. There’s also a handy iPhone app for when you’re on the move. Olark is better than the phone in my opinion. It lives on your website, look down to the bottom right, you can see it on ours. Why not say hi? It’s basically a really easy-to-use and cost-effective online chat. We’re on a premium subscription, but they have a free option. It can tell you some basic things about the visitor, like where they came from and what page they are looking at. It will also save history of chats if you wish. 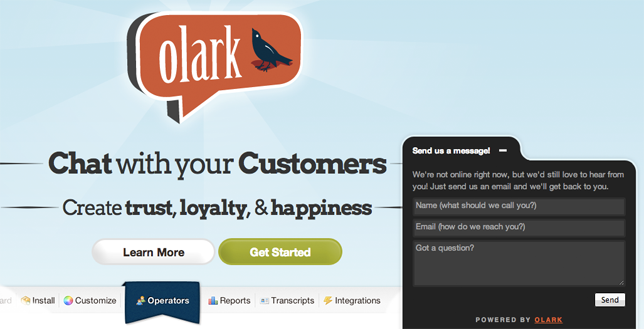 Having tried other chat apps like Zopim, we tend to prefer Olark for it’s simplicity, and lack of bugs and downtimes. Flipboard is a fantastic iPhone and iPad app that helps us come up with content ideas for blog posts for our clients. We use this at least once a day as a source of inspiration. You simply type in a search term, or browse a category, and it will show you recent news stories and blog posts from popular feeds. Like some of the other apps on this blog post, it doesn’t actually do anything that special, it’s the way it does what it does that impresses us. Showing multiple posts per ‘flip’ is great for inspiration. With a few flips, you have a nice idea of what kind of post you could do for a particular industry. We mentioned Flipboard over on our Moz post. Not meaning to toot our horn too much here, but I do tend to use Fat Rank every single day. It’s a great lightweight rank checker from right within the browser. Great for quickly checking rankings of clients or competitors when prospecting or reporting. We have now added a feature that allows you to check the keyword ranking for a website in any country. 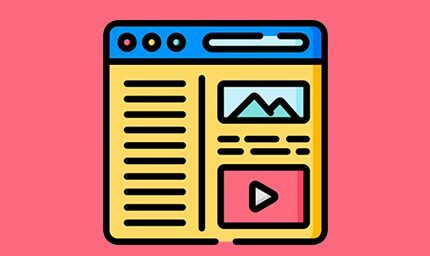 Cost: Free Chrome Extension. Download here. We’ve been using TeuxDeux for some time as our handy to do list app however as our team has grown and with staff collaboration all over the World we’ve sort of grown out of TeuxDeux and upgraded to Trello. Don’t get me wrong, TeuxDeux is an awesome an very simple to-do-list app which does its job extremely well without any fuss however, our operation has simply got a little more complicated and those little extra features we previously dismissed, well we now need them. Trello is great for setting up boards for each member of your team and checklist tasks and jobs to do. It’s much better when managing a team as we can see at glance which tasks our team are outstanding and which are completed. It allows you to create a little more complex project cards and allocate them to different team members. Trello will deliver status notifications to team members involved in particular projects so everyone is updated. They also have a pretty awesome IOS app. Cost: Free forever with a few optional upgrades. Best used for: Project and task management between staff. 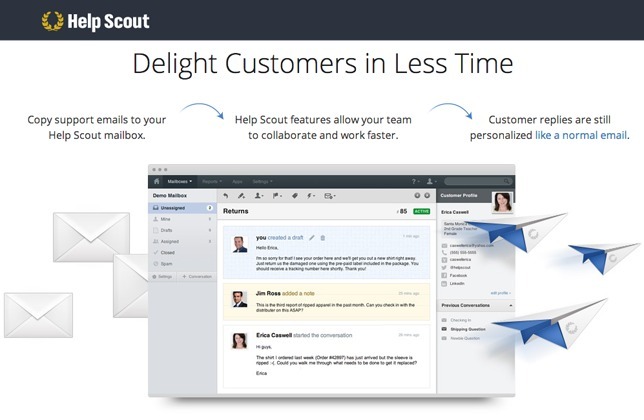 Help Scout has been our client communication saviour. It’s an absolutely awesome email CRM system that we actually wished we came across much earlier. It is a straight forward and simple way to ensure you never miss a client email again. 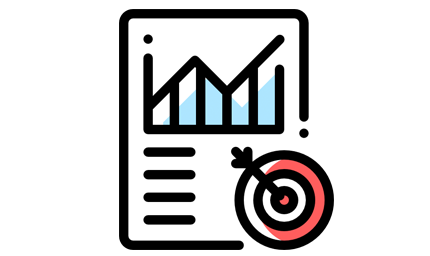 Furthermore it actually motivates our team to deal with enquiries much more quickly and efficiently thanks to it’s inbuilt stats which tell you things like your response time, emails resolved, staff who solve the most enquiries etc. This has allowed us to target communication response time within a matter of hours which actually helps reduce calls into our office and improves the general service we provide to our clients. Less time on the phones means a more productive and uninterrupted process in our office. I almost forgot. Help Desk has one huge benefit over the other help desk systems out their. It’s invisible to the client. All the client see’s is your email with your standard signature, no complex login options for clients etc etc. Cost: Free for up to 3 users and $15 each user for more than 3. Best used for: Scalable hassle free help desk support. That concludes our roundup of the apps our business could not survive without. If you have any to add, please let us know in the comments below. We would love to hear more about these nifty tools that make your lives easier and your business better!